Some say Canonical has lost its way. Are they right? Y'all remember Ubuntu on TVs, right? Yeah, we thought so too. When Ubuntu burst onto the scene nearly a decade ago, it defined itself with its choice of name. The word 'ubuntu' means 'we are who we are because of other people'. With that ethos as its guiding principle, you might expect that the Ubuntu distro would focus on community development, sharing credit and trying to foster a sense of togetherness among its users and developers. The communal philosophy offered part ownership in a distribution for anyone who participated. From the beginning Ubuntu was focused on community. It appointed Benjamin Mako Hill, the former Debian member and contributor, to the role of community manager for Ubuntu. This role later went to Jono Bacon, who writes for us regularly and is serious about the task of bringing people together to create something special. There's a strong tendency among free software projects for the loudest shouters to be heard the clearest. Ubuntu, from the outset, tried to ensure that everyone would be heard. While other distros' forums could be unwelcoming for new users, with newbies unhelpfully told to 'RTFM' (read the f***** manual), the Ubuntu forums encouraged all to contribute and share their knowledge with others, rather than just show off. It sounds idealistic, utopian, and it was, but some felt that some contributors were more equal than others. One of the highest-profile complaints came from kernel developer Greg Kroah-Hartman, kernel maintainer for the stable branch, who had identified a disparity between contributions from Canonical and other developers. In a speech at the Linux Plumbers Convention in 2008 he criticised Ubuntu for not contributing more to the Linux kernel, saying that, of the 100,000 kernel patches made in the preceding five years, only 100 of these came from Canonical, creating the strange situation whereby the world's most popular Linux distribution contributed only 0.1 per cent of the work needed to keep the kernel going. In the same period, Red Hat contributed 11.9 per cent of the patches, and Novell, makers of SUSE, contributed 7.3 per cent. More recent figures from 2012, compiled since the release of Linux kernel 2.6.36, reveal similar stats. Red Hat, SUSE, Samsung (via its work on Android), IBM, Google, AMD, Nokia, and even Microsoft, all contribute more to the Linux kernel than Ubuntu does. Four years later, in 2012, Kroah-Hartman complained that "Canonical uses me as a gatekeeper of what bugs get fixed in their kernel package and sent to their customers. There's so much wrong with this, I don't know where to start..."
In 2004, soon after Ubuntu's launch, Canonical announced a development platform to host software projects. It included lots of features important to developers, all rolled up in an attractive and convenient portal. Ubuntu would be just one of thousands of projects that would be stored, updated, tracked, planned, and managed using Launchpad. Other project hosting sites had their problems, and Launchpad was designed to solve them. However, despite its avowed open ethos, Canonical kept its web development code closed for five years - only migrating to the Affero GPL in July 2009 (the Affero licence closes a loophole that exists in the standard GPL - when code is running remotely via a web server, it's not actually being distributed, so the GPL doesn't apply. Affero fixes this, to keep web apps open). Four years - and a lot of criticism - after the service was first unveiled, Launchpad was open source software, but the perception remained that Ubuntu preached one thing and practiced another. Ubuntu makes fundamental design changes, but were they necessary? Ubuntu grew in popularity on the back of the GNOME desktop. 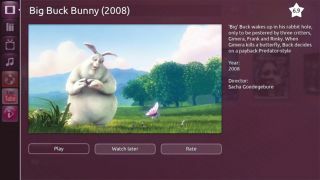 Its fusion of Debian with a streamlined package selection, and a predictable release schedule, plus the most recent stable release of the GNOME desktop, was good not only for Ubuntu, but also for GNOME.